The desire to pay tribute to Marshal Pétain this Saturday is “natural”, said French President Emmanuel Macron on November 7, Le Monde reports. Philippe Pétain will be honored at Les Invalides in Paris together with seven other marshals of World War I (WWI) during a ceremony, which will be attended by senior military officials including Admiral Bernard Rogel, Chief of the Military Staff of the President of the Republic. Emmanuel Macron arrived to the region of Ardennes for the Council of Ministers, where he responded to questions from journalists, who voiced criticism of the upcoming celebration honoring the head of the Vichy regime. He stated that Marshal Pétain was “a great soldier during WWI,” despite the fact that he “made a terrible choice” during World War II (WWII). “It’s natural that every year we pay tribute to the marshals who led the army to victory. My Chief of Staff will be present at this ceremony,” said the French president. “I recognize the role our marshals and our army played. We owe him for the victory,” concluded the president, who was on a trip to commemorate the 100th anniversary of the end of the WWI. In 1940, a collaborationist regime headed by Marshal Philippe Pétain was established in the town of Vichy after Nazi Germany conquered France. It collaborated with the German occupiers who controlled part of the country. After the war, Pétain was put on trial. He was convicted of treason and war crimes. He was sentenced to death, public dishonor and confiscation of all property. However, the sentence was soon changed to life imprisonment due to his old age and past merit during WWI. In recent years, there have been attempts to exonerate the identity of many historical figures recognized as war criminals, to assess their identity not in its entirety but in parts. While the attention is focused on the brightest period of a person’s life, the period during which the crimes were committed is ignored or justified due to the circumstances beyond the control of the person. In Russia, they try to “whitewash” in the same way such historical figures as Admiral Kolchak, General Vlasov, Turkul, Mannerheim, Krasnov, Shkuro, and others. As for Marshal Pétain, we are talking about a war criminal who staged a monstrous genocide. Jews and all those who were dissatisfied with the fascist regime were executed or sent by train to concentration camps, including a massive number of children. 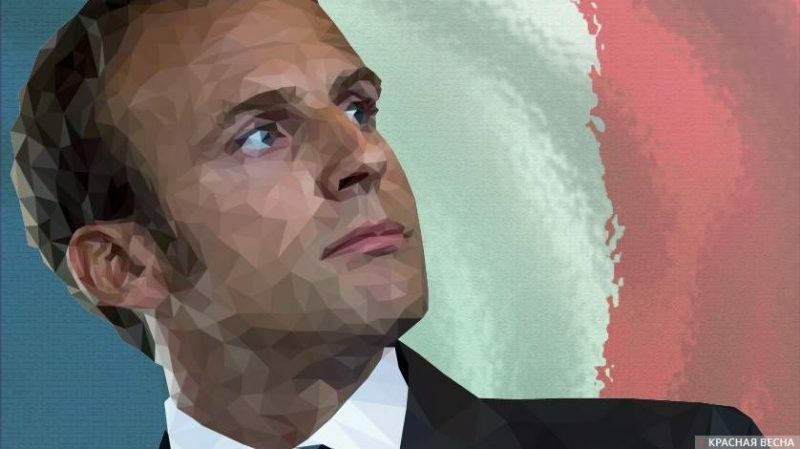 Macron’s words mean that the current French authorities must honor and consider themselves to be successors of the bloody tyrant and traitor Pétain and other leaders of the Vichy regime. This entry was posted in News from the West, Revival of fascism and tagged Emmanuel Macron, France, Informational-Psychological War, Revival of Fascism. Bookmark the permalink.